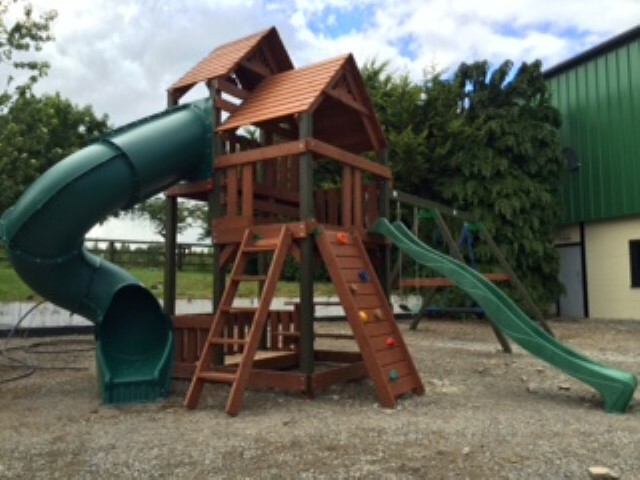 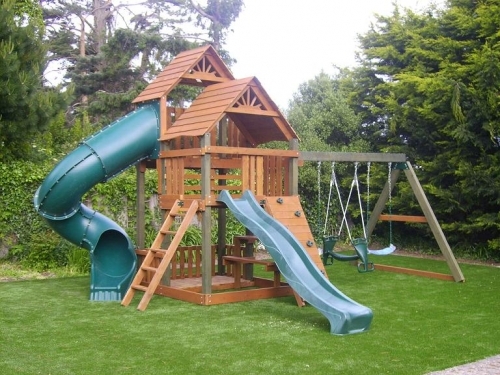 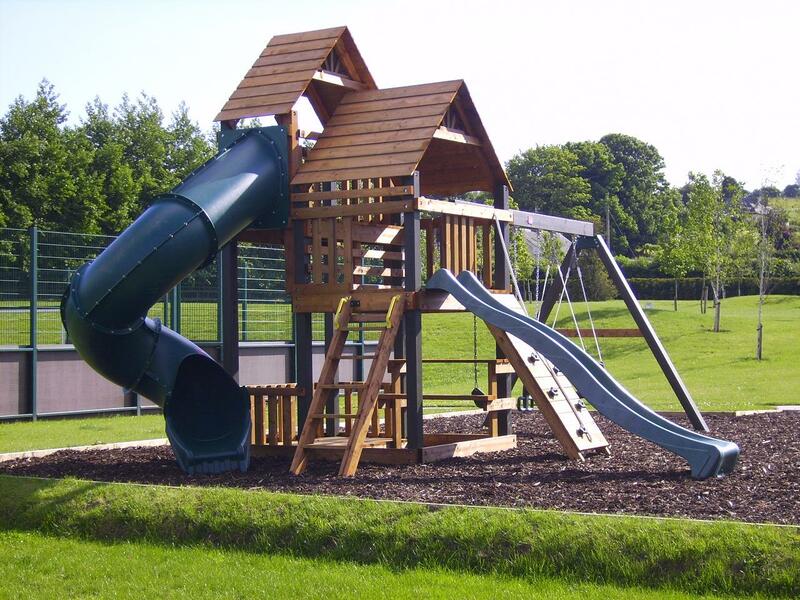 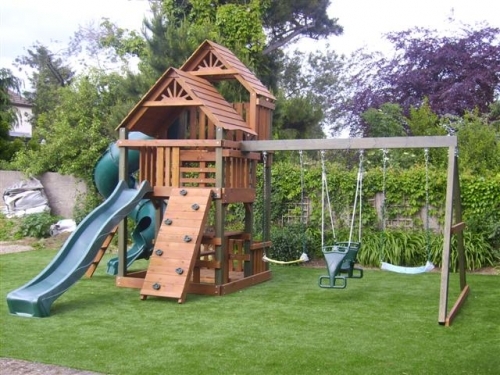 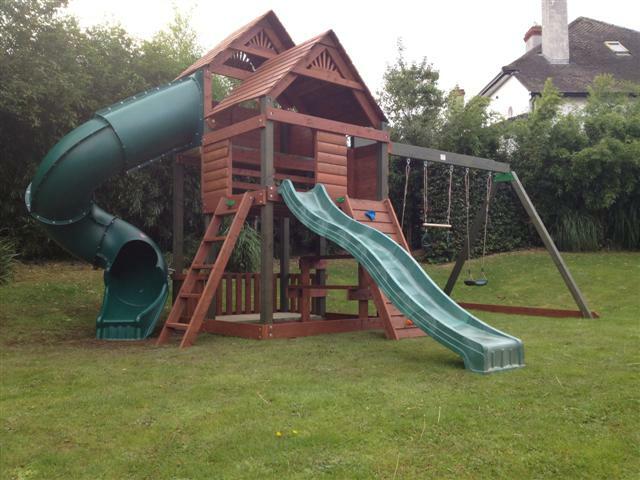 A fantastic unit with a 2 Story main tower featuring the 7ft Radical Ride Tube Slide 10ft wave slide and 3 play-decks. 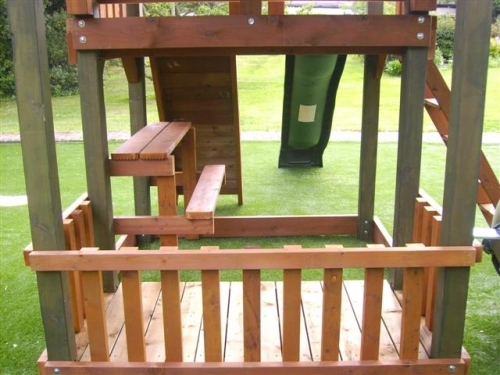 SKU: ref.PR35. 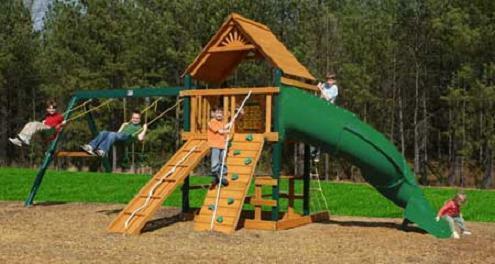 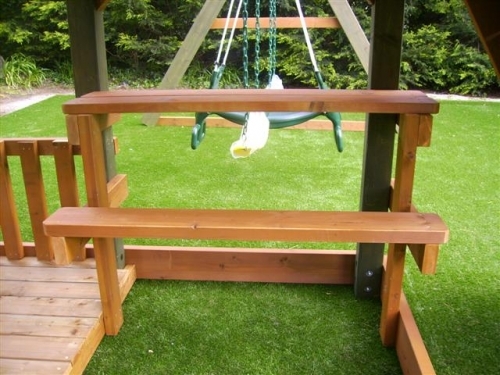 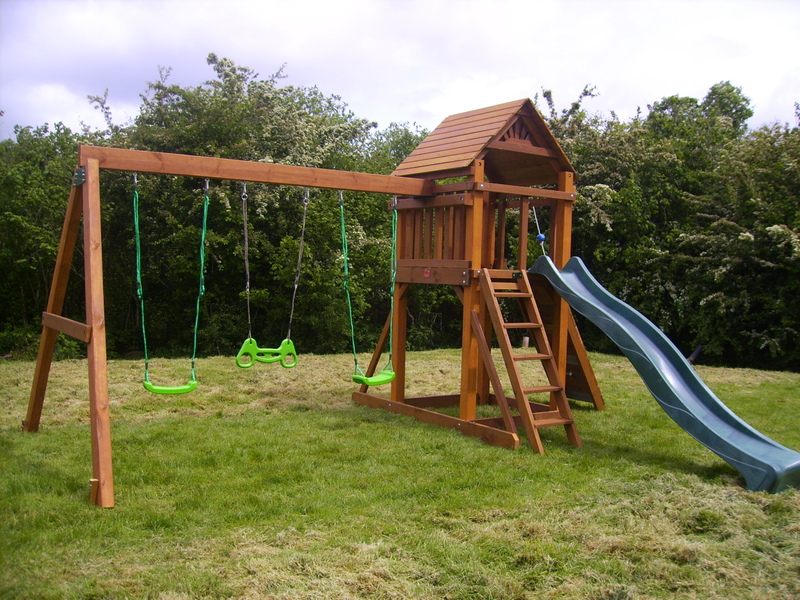 Categories: Premium Climbing Frames and Play Centres (domestic ), Monster Forest Range. 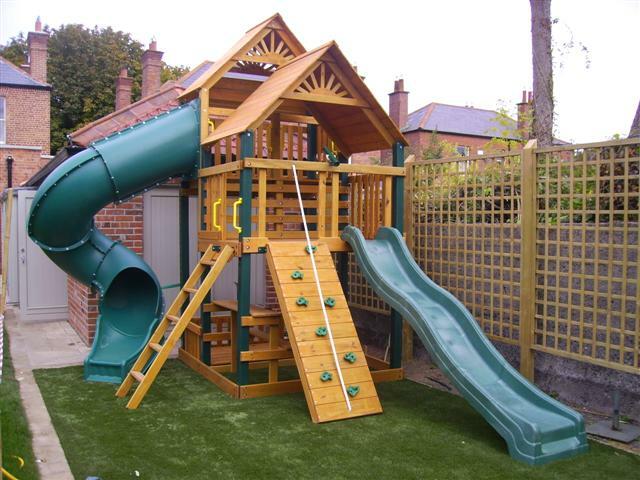 7FT Radical ride tube slide from the second level.